You don't have to go ~cold turkey~. 1. Try going vegetarian for one day a week. Meatless Mondays have become a popular concept for a reason. People are a lot less likely to eat out on a Monday than say, a Thursday or Friday, and it's the first day of the working week, meaning you might have done a grocery shop over the weekend and have ingredients ready to cook something tasty. Starting with one day a week is an easy and excellent way to ease into the habit of eating less meat. 2. Once you're ready to take it to the next step, try going without meat on weekdays. If your main hesitation about going completely vegetarian is that there are certain dishes you just love — like pork dumplings or pepperoni pizza — try only eating those things on the weekends. Not only will this allow you Monday to Friday to experiment with vegetarian recipes and get used to eating meat-free meals, it will also make your favorite dishes something to really look forward to. 3. Or take it one meal at a time, starting with breakfast, then moving on to lunch, then dinner. If you're used to eating meat with every meal, pick a time of day to focus on and start there. Rather than going vegetarian overnight, a lot of people find it easier to cut meat out one dish at a time. 4. Once you've eaten all the meat in your fridge and freezer, stop picking it up in the supermarket. Having an interest in eating less meat doesn't mean you need to waste the food you already have. If you feel comfortable cooking and eating meat, waiting until your fridge and freezer are meat-free can be a good way to ease into a new way of eating. Getting out of the habit of buying meat at the supermarket is one of the biggest steps you can take. 5. Pick a vegetable that's popular in vegetarian recipes — like mushrooms, eggplant, or cauliflower — and experiment with a few recipes. 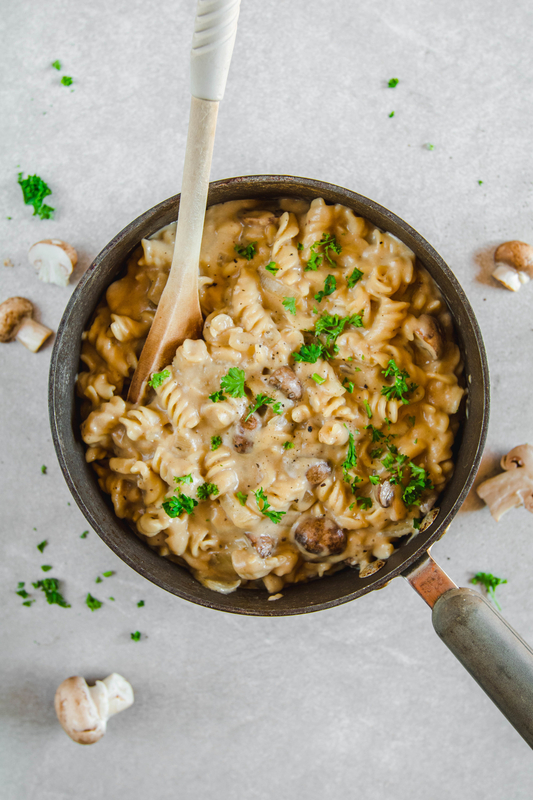 I recently did this; mushrooms were my ingredient of choice, because while I love eating them in cafés and restaurants, I'm not great at cooking them at home. 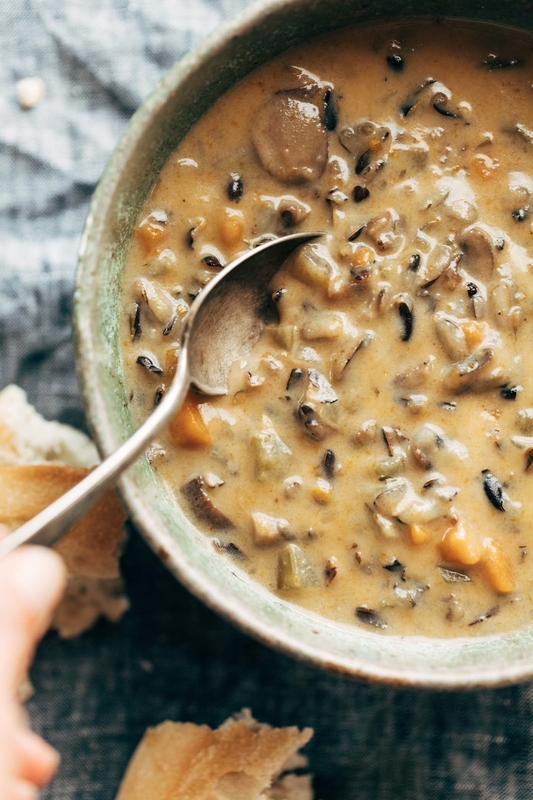 I tried the two recipes above — one-pot vegan mushroom stroganoff and a wild rice soup — and now both are in my regular meal rotation. 6. Find a quick go-to recipe you can make in a pinch, and always have the necessary ingredients on hand. This quick chickpea and pasta recipe was a game-changer for me. After a year of being completely vegetarian, then a year of eating meat again, I was looking to get back into my old meat-free habits, but it was feeling like a chore. My colleague Rachel gave this recipe a glowing review, so I tried it for myself. I now cook it at least once a week because it takes less than 20 minutes and only has eight ingredients, which include water, olive oil, salt, and pepper. 7. Follow vegetarian blogs or Facebook groups for recipe inspiration and support. I follow Tasty Vegetarian on Facebook and Instagram and am constantly saving recipes from both. I also joined a vegetarian and vegan recipes Facebook group, in which more than 187,000 people share their favorite meat-free cooking tips. 8. Do some research about how a vegetarian diet can affect your health, and learn about vegetables that have high levels of iron, protein, and calcium. This BuzzFeed post about things to know before you stop eating meat is a great place to start your research. It covers everything from vitamins, to smoothie tips, to daily iron intake recommendations. And if you're looking for high-protein recipes without meat, I love this list. 9. Get into the habit of checking menus online when you know you're going to be eating out. There's not much worse than having to awkwardly work out how many sides will constitute a real meal in front of your friend who chose a restaurant with no vegetarian options. Check it out beforehand to save yourself the trouble. Another hot tip: Italian, Indian, Thai, and Mexican restaurants are generally a great bet! 10. And see if your regular takeout spots have a good vegetarian option; if not, try some others in your area. You often find good vegetarian options in the most unexpected of places. There are a few Thai restaurants around my apartment but one in particular has an amazing mock duck stir-fry on the menu. 11. If cooking just vegetables in every meal makes you feel overwhelmed, try meat alternative products. Sure, lentils, chickpeas, jackfruit, and meaty mushrooms can make amazing recipe bases, but sometimes — especially when you're feeling lazy — you crave the ease with which you once cooked a sausage or burger patty. It's at these times that I reach for meat-alternative products. I've yet to try these Beyond Meat burgers but everyone on Facebook seems to be completely and utterly obsessed with them. 12. Prepare vegetarian snacks if you're going somewhere that you think might not have any options for you. When I was totally vegetarian, I only found myself in a place with no vegetarian options once — my boyfriend's high school reunion. In hindsight, I should have thought ahead and had dinner before the event, but since these things aren't always easy to predict, it's a good idea to carry a muesli bar or bag of nuts with you when you can. 13. If you're going to someone's house for dinner, offer to bring a vegetarian dish. There's no denying that the first few times you tell people you're now a vegetarian can be a little awkward. At the start of my first meat-free period, I made a point of inviting people over to my place, instead of me going there — it's much easier to offer a yummy vegetarian dish along with your explanation that you're trying out a new lifestyle, rather than out of the blue announcing that you won't be eating any of the roast chicken your friend has been cooking for hours. Another solution is to tell a host that you're vegetarian, along with an offer to bring a vegetable dish along! This doesn't cause them to panic about coming up with an entirely new menu, but does give them a polite heads-up. 14. And most importantly, remember to be easy on yourself. Having gone from not eating meat at all, to eating meat, to eating meat every now and then, I've finally come to accept that it doesn't matter if your choices don't neatly fall under a label like vegetarian, vegan, or pescatarian. What you eat — or don't eat — is only the business of you (and maybe your doctor), so make the choices that make you happy!